When you hear the words “skills gap” what immediately comes to mind? Most of us instinctively think technical skills. Whether a mechanic, accountant, or doctor, employees in specific fields have invested time, effort and in some cases, (significant) financial resources to acquire expert technical knowledge for their job. And when an employer has a position to fill, the first line of thinking is naturally around the subject matter expertise required to get the job done. But once employees are onboard and working hard to meet the demands of their new position, the requirements for success shift. Throughout physical conference rooms, video conferences and shared workspaces globally, leaders, hiring managers and HR professionals turn the conversation to “how” their employees work. Daily observations focus on if they are effectively communicating, how do they problem solve, are they critical thinkers, how do they approach negotiations, are they empathetic, humble? The language bandied about to best describe these capabilities has landed on “soft skills.” Although, they are anything but “soft.” They often demand deep, honest self-reflection, and require time to develop. The demand for soft skills is at an all-time high. 92% of surveyed executives said soft skills were equally important or more important than technical skills. 67% of all abilities associated with strong job performance were related to emotional intelligence. Even though it has been almost 25-years since this break-through research, today’s business leaders are still disappointed by the significant gap between their demand for soft skills and the mastery of them by today’s workforce. And this gap is only set to widen now that Generation Z (Gen Z) is entering the workforce. Gen Zers believe technical skills are more important than soft skills, which is in stark contrast to the skills employers’ desire most and those that favorably contribute to career success. Given this contrasting opinion, the need for additional employee training continues to grow for both skills types. 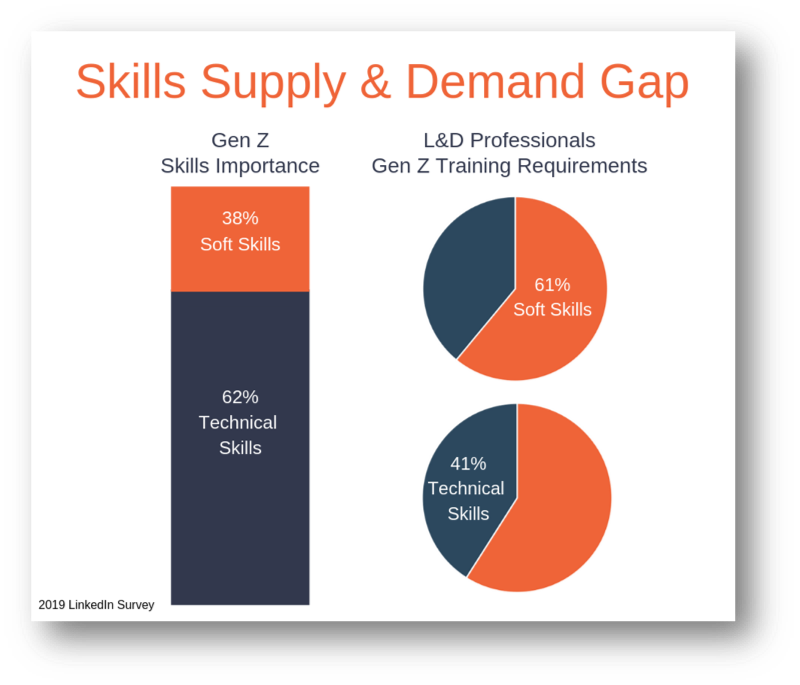 In a 2019 survey, LinkedIn discovered Learning & Development professionals believe 61% of Gen Z will require soft skills development and 41% will require additional technical skills development. Career development is just one of the confluence of topics that contribute to today’s employee experience. 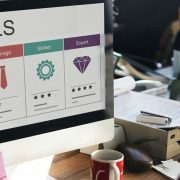 In order to be successful, employers need to recognize that defined employee engagement strategies are as critical, if not more important, than their strategic customer development efforts. The catalyst for this stronger internal focus is the shifting workforce demographics to a larger percentage of Millennial and Gen Z workers, who have different views of what work is and how it should be accomplished. Coaches help individuals identify improvement opportunities and provide guidance for growth. They provide real-life work experiences to help put in to context the “how” of a job and career for today’s less experienced employees. But just as today’s workforce youth have differing opinions of skills importance, their learning approaches differ from that of more tenured employees. They want self-paced, on-demand access to content and feedback on progress, integrated with human interactions. They not only appreciate the guidance of career coaches, but they want access to their cohorts across industries in order to learn from their experiences as well. Organizations not only need to invest in career development as part of their employee experience, they need access to innovative, modern approaches to help grow and develop these new generations of workers. And with this investment, they will build a greater sense of trust with their employees, which leads to stronger employee engagement, productivity and loyalty. And hopefully closing the skills supply and demand gap.